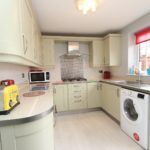 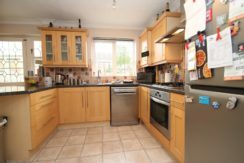 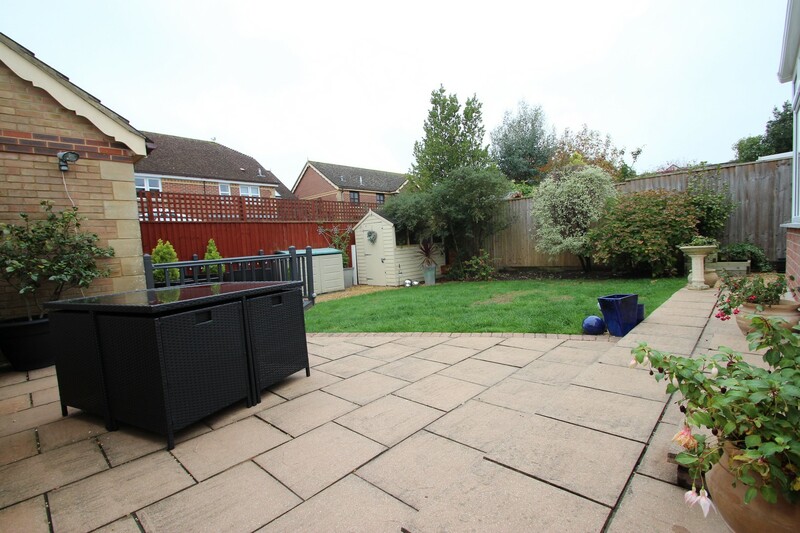 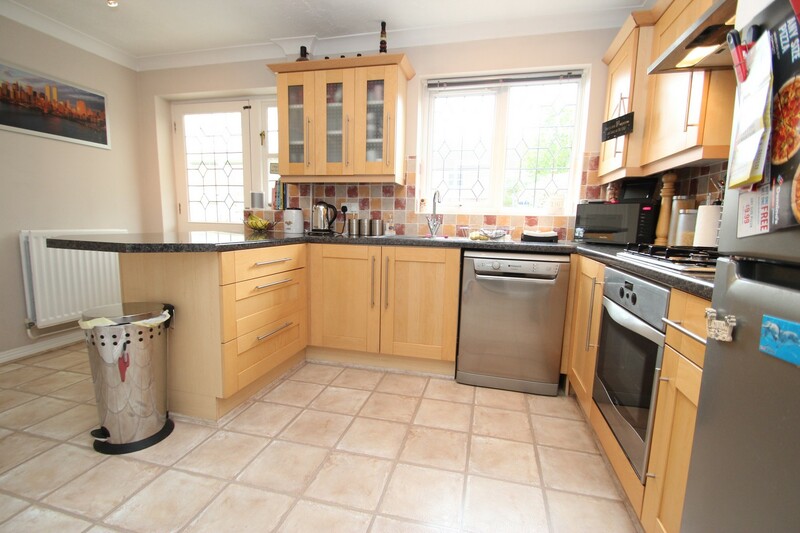 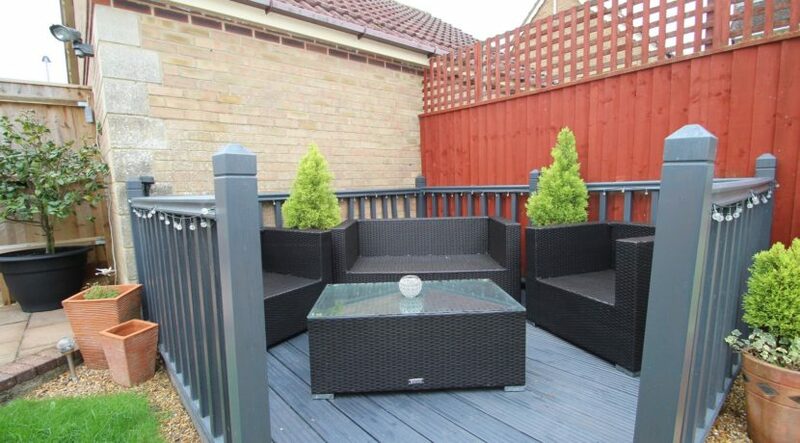 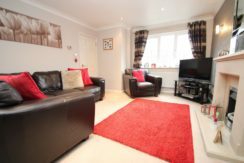 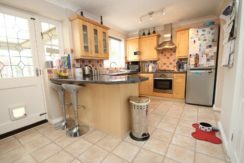 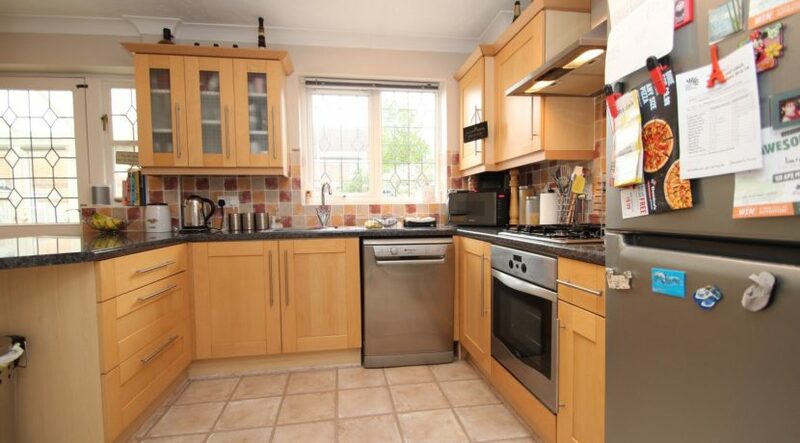 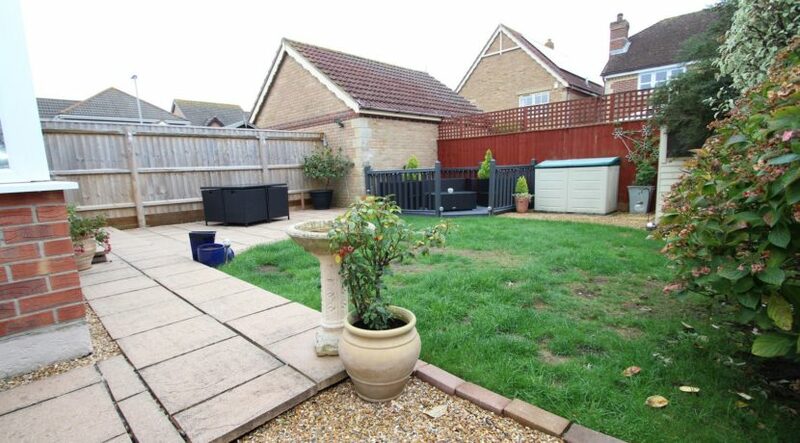 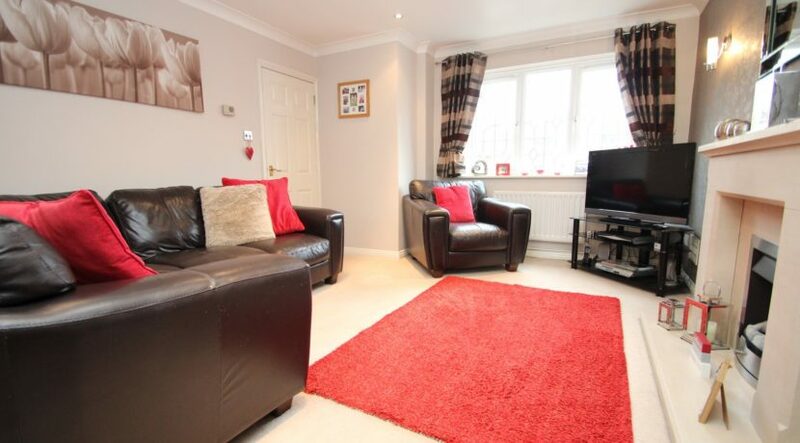 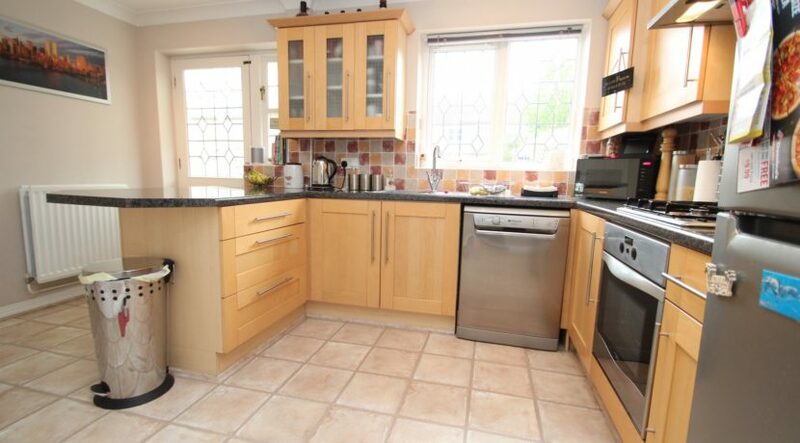 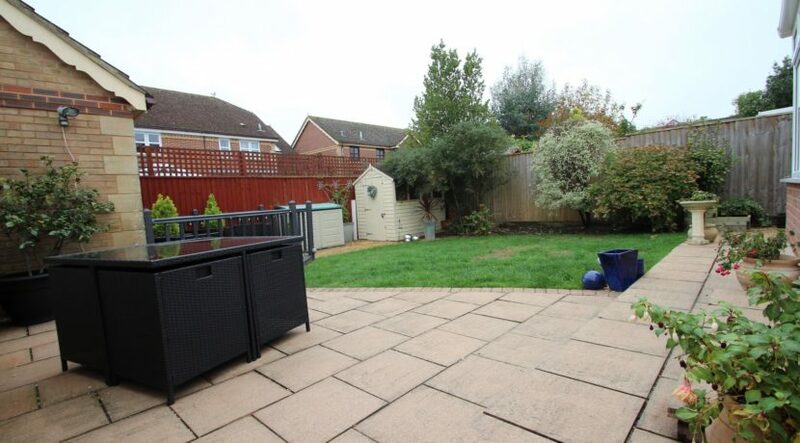 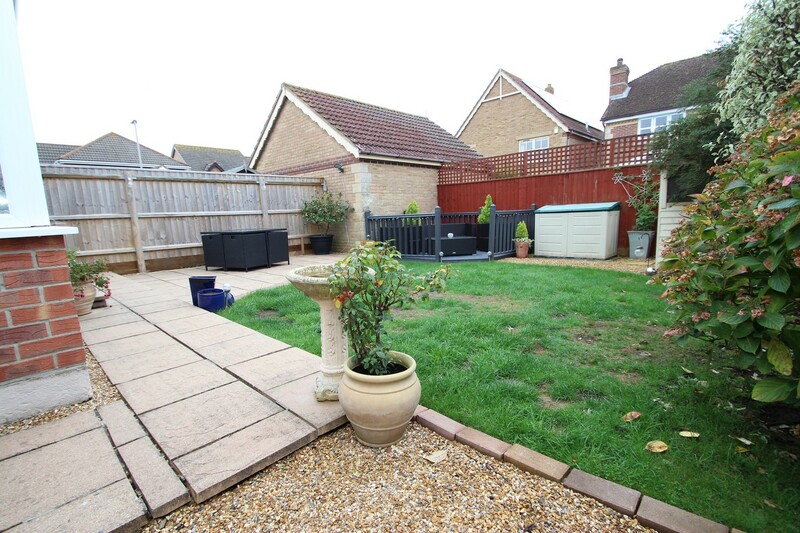 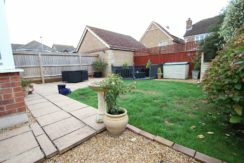 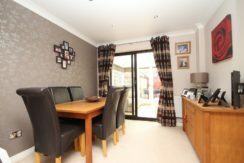 A superbly appointed three bedroom, two bath/shower room detached house which has a wonderful UPVC conservatory and is located on the highly sought-after Saxons Landing development. A composite front door leads into the entrance hall where stairs rise to the first-floor bedrooms and bathroom, there’s a cloakroom which has modern fitments throughout and a door leads through to the living room. 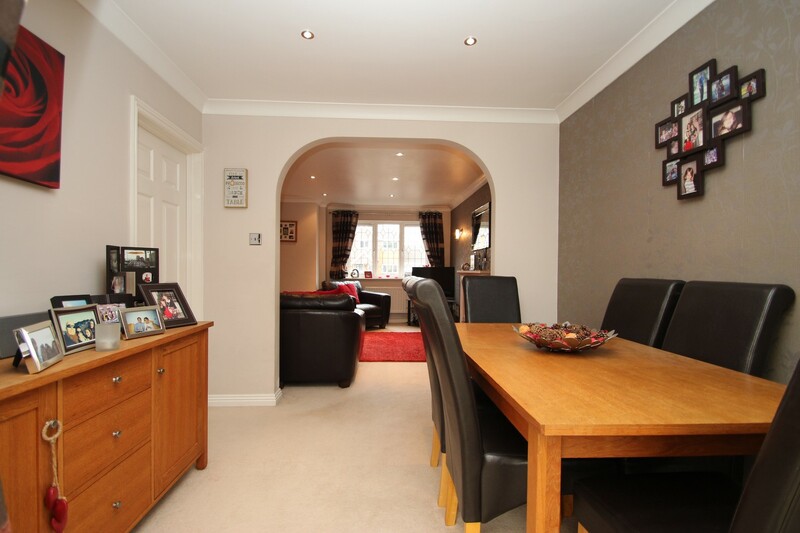 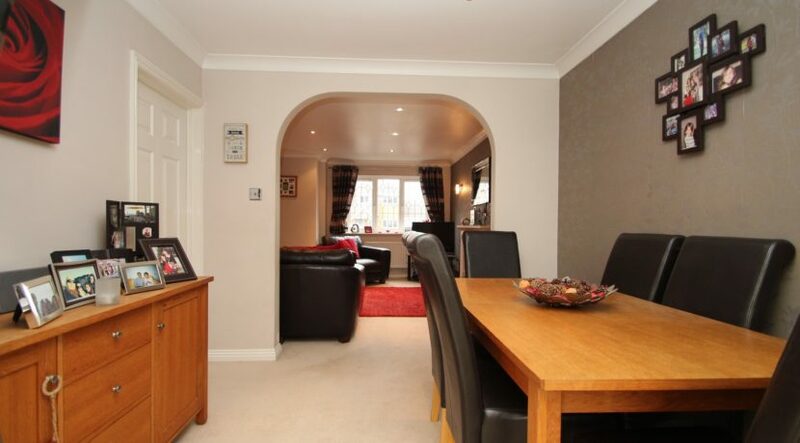 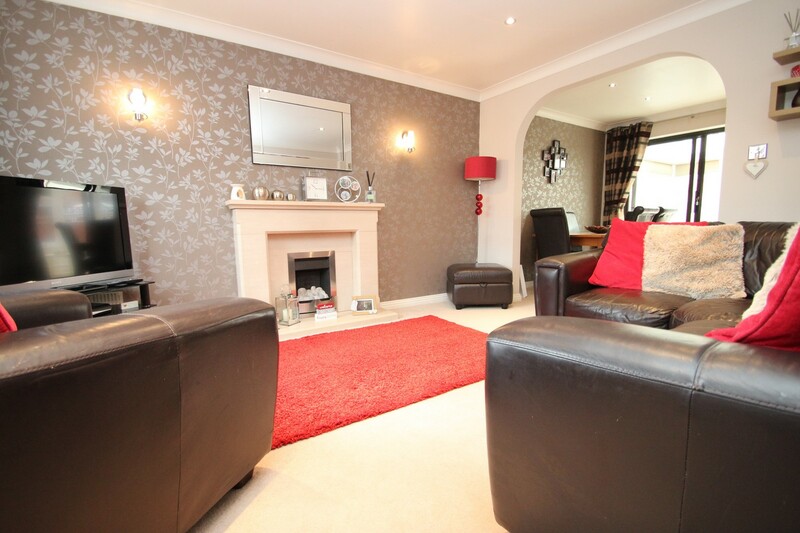 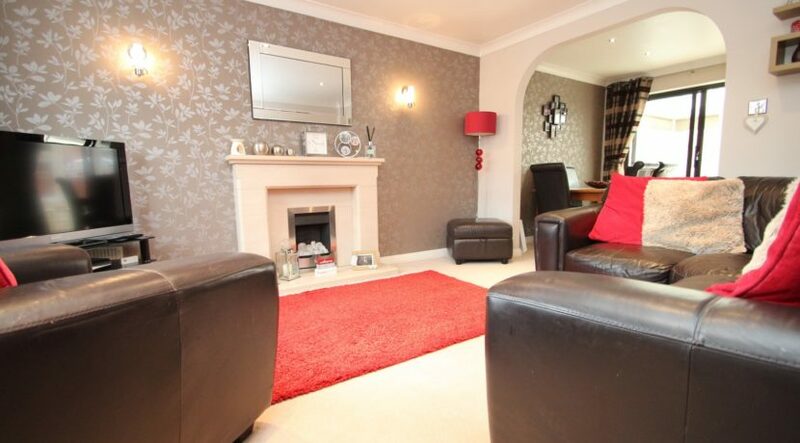 The living room is beautifully appointed, overlooks the front aspect, a central fireplace with an inset gas fire compliments the room well, a squared arch leads through to the dining room. 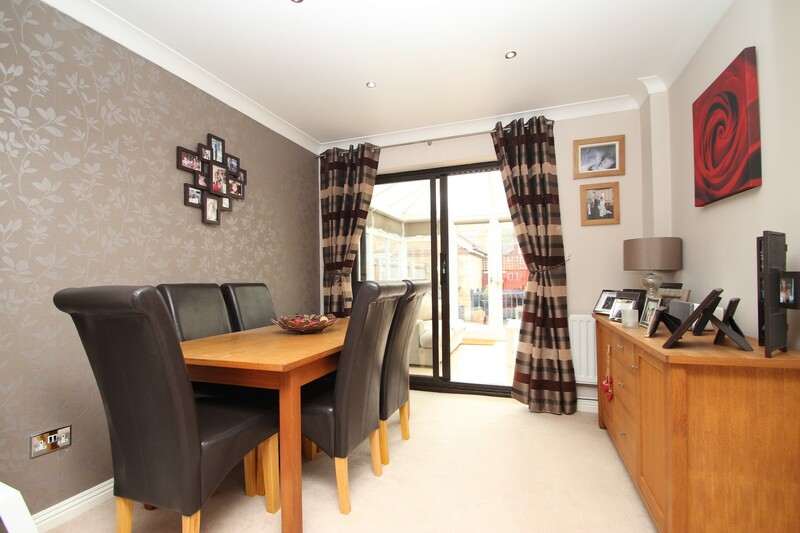 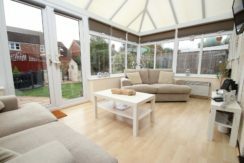 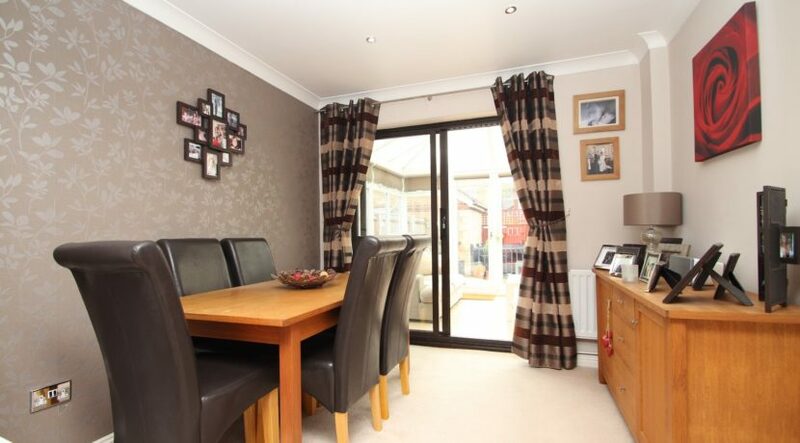 The dining room is of a good size, a sliding double glazed patio door opens through to the wonderful conservatory and a further door leads into the kitchen / breakfast room. 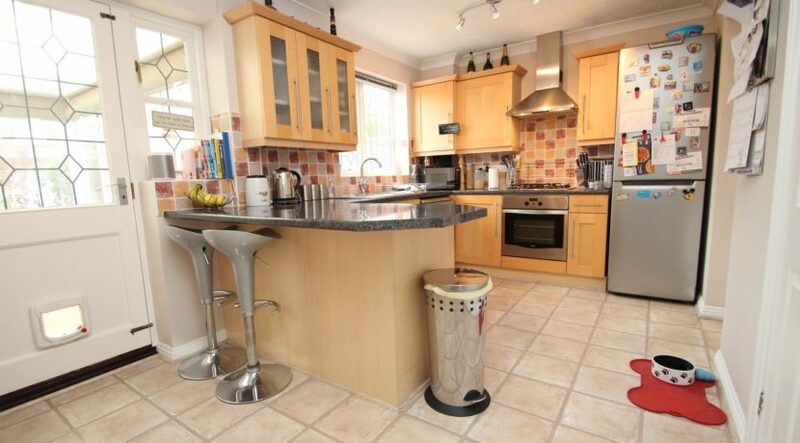 The spacious kitchen / breakfast room has a modern and bright range of wall mounted and floor standing units which are surmounted by roll top work surfaces, there’s an inset one and a half bowl sink unit with mixer taps and a side drainer, built in electric oven, inset 4 burner gas hob with a stainless steel extractor hood over, space and plumbing for a dishwasher, space for a tall fridge freezer, breakfast bar, large ‘walk in’ under-stairs storage cupboard, access through to the rear of the garage (currently divided into utility/office/storage) and a glazed casement door opens out from the kitchen through to the conservatory. 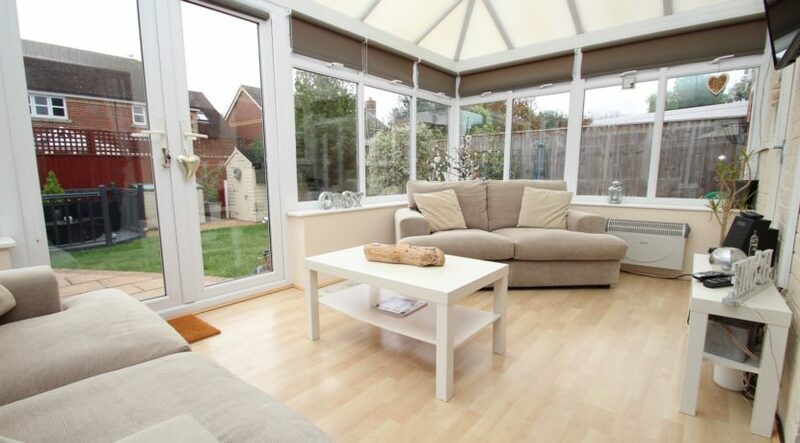 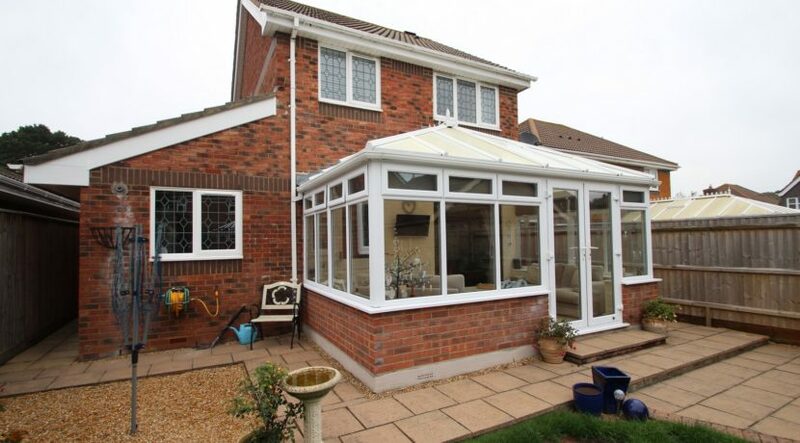 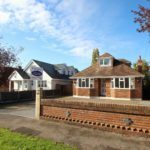 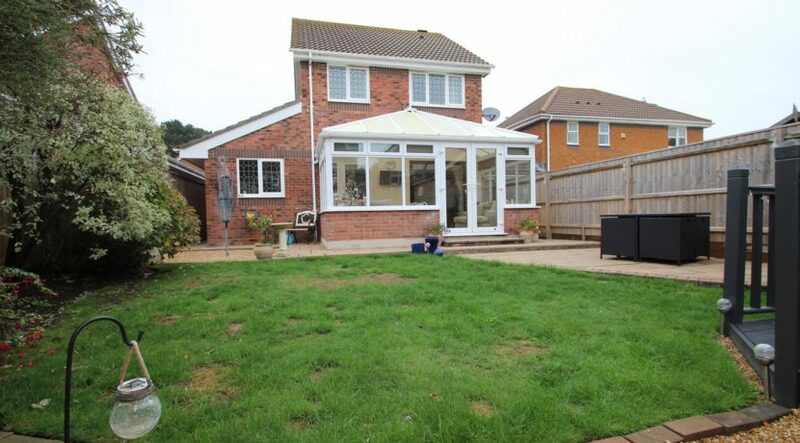 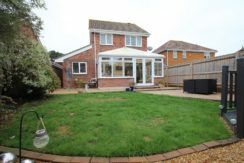 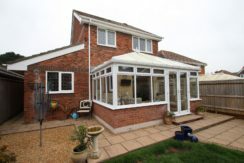 The conservatory is a wonderful addition to this home and is of UPVC construction, double opening casement doors open to the rear garden. 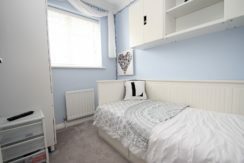 The first-floor landing has a hatch up to the loft space, airing cupboard which houses the hot water cylinder and has slatted shelving, doors lead into the bedrooms and bathroom. 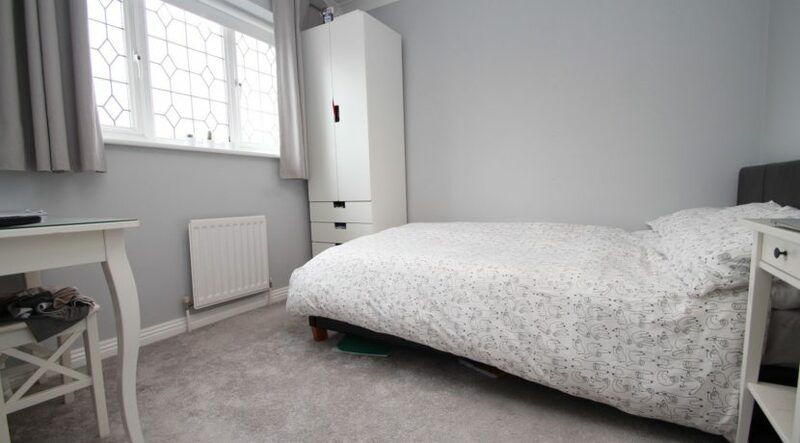 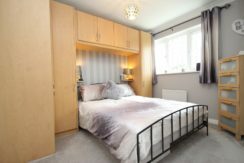 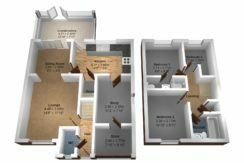 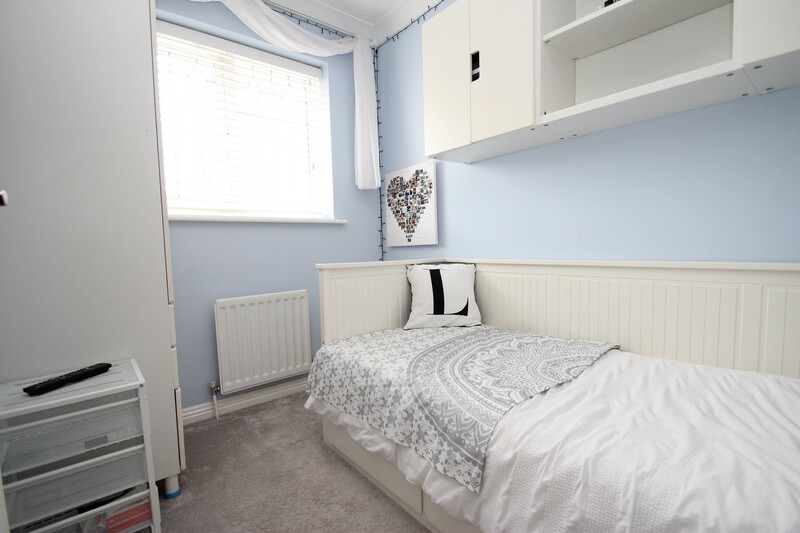 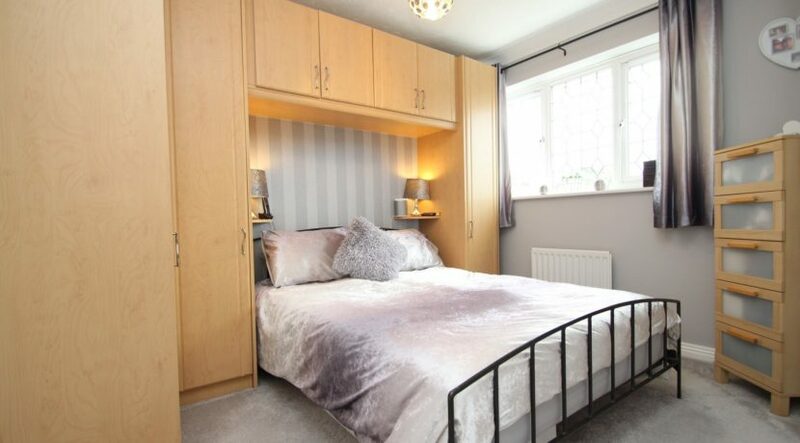 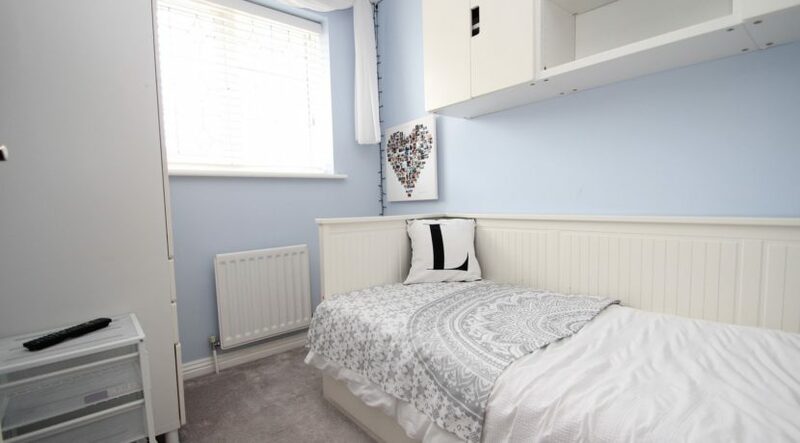 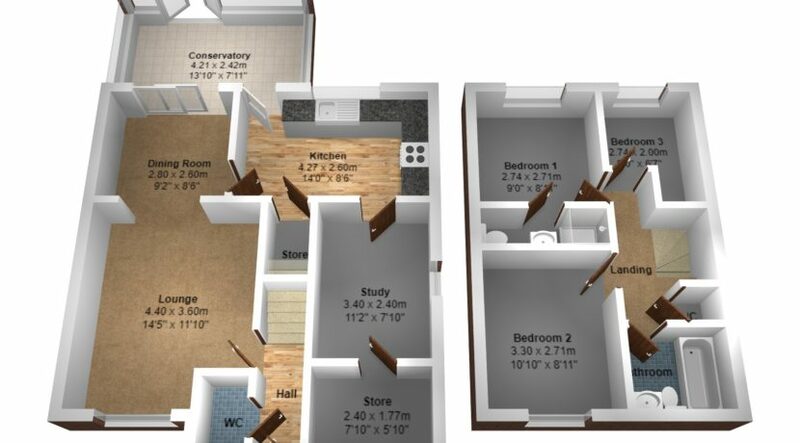 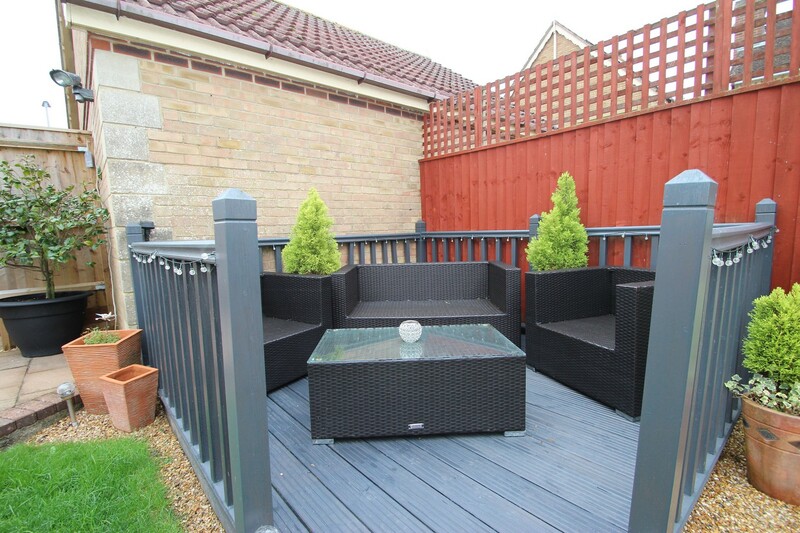 The main bedroom is a double room with built in wardrobes and further benefits from an en-suite shower rom which has modern fitments throughout. 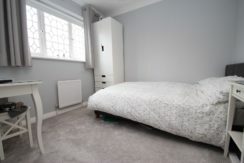 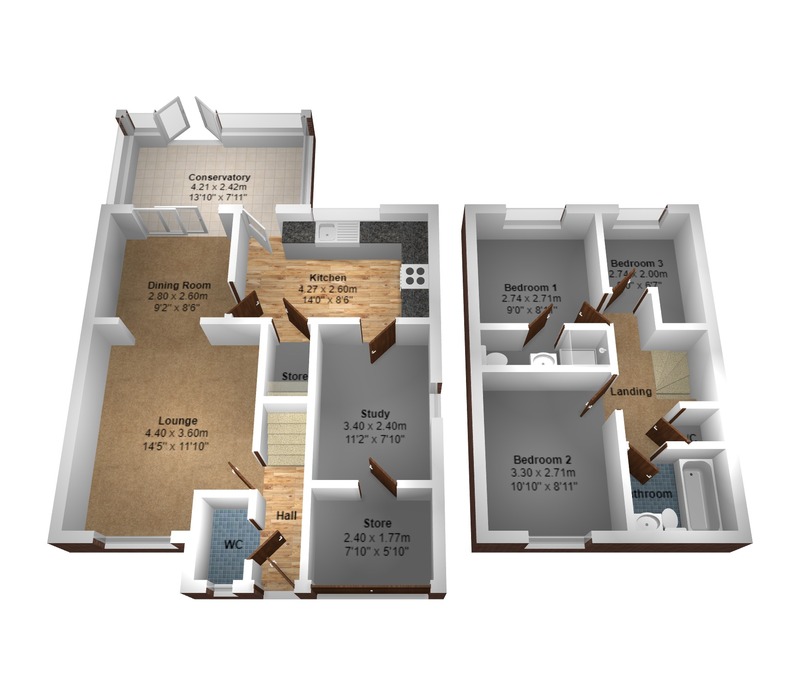 Bedroom two is also a double room with bedroom three being a single. 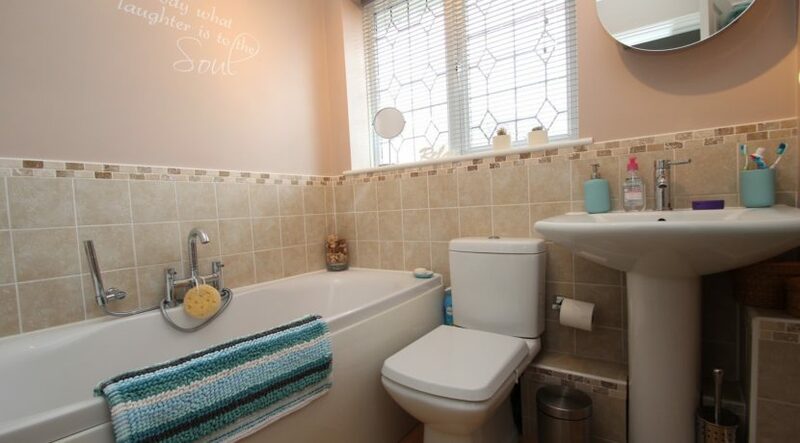 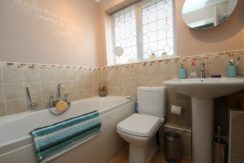 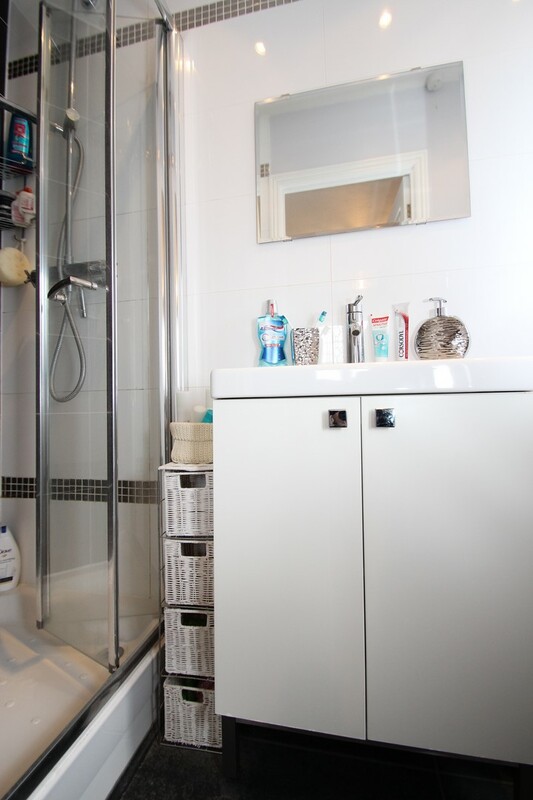 The family bathroom is beautifully appointed and has modern fitments throughout. Outside there’s a good size patio area which adjoins the rear of the house and leads onto the garden which is laid to lawn, a side border displays a mature variety of plants and shrubbery, there’s a decked area to the bottom corner which is a perfect spot for entertaining and enjoys a lot of the afternoon/evening sun, there’s a timber built shed and access down both sides of the house which lead out to the front via lockable timber gates. 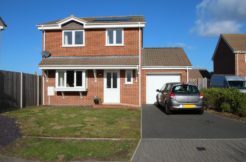 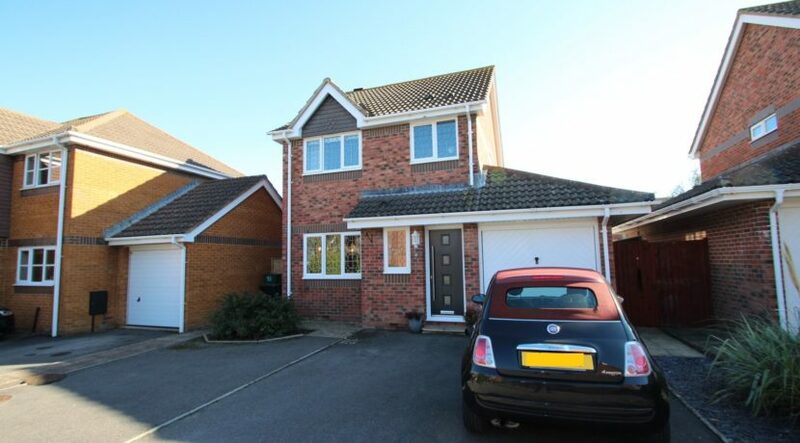 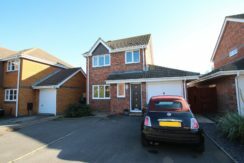 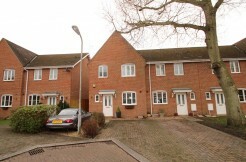 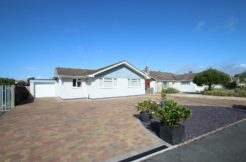 The front driveway offers off road parking for a good number of vehicles and in turn leads into the garage which has an up and over door and benefits from power and light.